Warm Outlets: Is This a Problem? Warmth and electrical components rarely signal a good thing. In some instances, the warmth merely means that the device in question is working, but more often than not, it means that some kind of issue has arisen. This is especially the case when outlets are involved. They’re intended to do their job without issue, and if they’re warm to the touch, it’s not normal. Warm outlets are a problem you should be concerned about, and the reasons why can be found below. 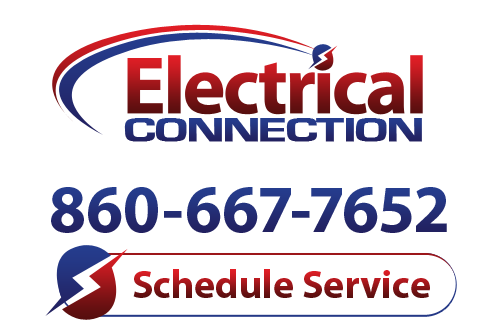 For any repair service you need, call the Hartford electricians at Electrical Connection, Inc. Outlets contain contacts inside the receptacles (the slots where you place whatever electrical appliances you wish to power), which is often the cause of warmth. The contacts can sometimes get corroded or worn or loose, all of which can lead to overheating. In some cases, the wiring itself may be overheated, either because they are worn out and frayed or because some other issue is creating an overload along their length. (The problem could stem from the appliance rather than the outlet, but in such cases you’ll likely feel increased heat along the cord in addition to the outlet itself.) The outlet could also be overloaded by the sheer number of appliances plugged into it, in which case you can lower the heat by removing the appliances. Regardless of the cause, a warm outlet constitutes a fire hazard and needs to be dealt with as quickly as possible. Shut off power to the outlet at the circuit box and then contact a qualified electrician who can examine it and perform the necessary repairs. In Hartford, electricians at Electrical Connection, Inc. are on call to help you with problems just like these. If you detect a warm outlet in your home, pick up the phone and give us a call today. We’ll handle it with the courtesy and care you’ve come to expect!